Many of our friends in Poznań grew up in rural villages and still have family on a farm. Specials occasions such as Easter or a wedding call for slaughtering a hog. We were often the reciepiants of homemade pate and sausages made for these celebrations. My favorite? 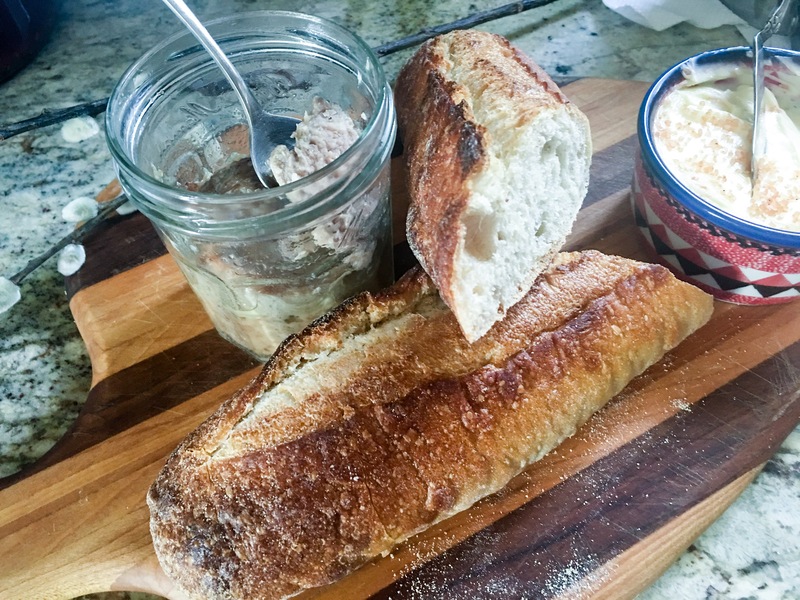 White sausage in a jar (biała kiełbasa w słoikach)! It’s delicious paired with a good bread. Major Demel was one known to send us treats like sausages. When Ed told him that I especially liked his white sausage in a jar, that I would have a little bit everyday. Major Demel sent a warning, that I should be sure to have a little vodka with it to protect my liver! When we weren’t the lucky reciepiants of white sausage in a jar, I could buy it on Saturday morings at Bio/Green (organic) market in Plac Bernardyński. There was an organic butcher that set up shop in a little refrigerated truck. He always had the longest line. Seriously, people would wait for 30 or 40 minutes to buy from this butcher. Thinking back, I don’t remember anyone cutting in front of us in line. Which makes this unique as queing up experiences go in Poland. 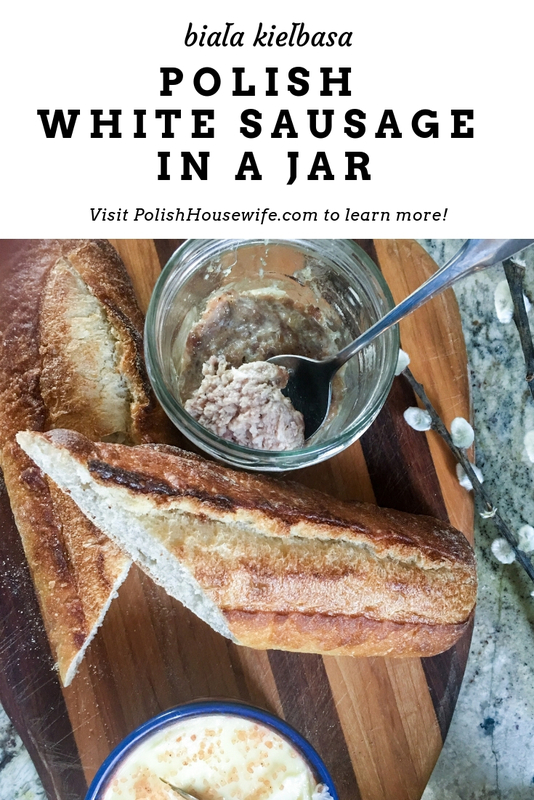 I’ve always wanted to find a recipe for white sausage in a jar (biała kiełbasa w słoikach), so that I’d be able to make it myself when we returned home. A search of the internet and I found several recipes to translate. As I read through the ingredients, I realized that the flavors are the same as smalec. You’ll find garlic, salt, marjoram, and pork. The sausage is just more meaty. The cooking process described in Polish recipes calls for heating the sausage inside the jar three times. It is commonly accepted in Poland that after being cooked three times, that the sausage in a jar in shelf-stable and can be kept for months without refrigeration. The process is known as Tyndallization. Heating will kill bacteria, but not the spores. Leaving the jars at room temperature between heating allows the spores to germinate into bacterial cells which can be destroyed by a subsequent heating. I don’t know a lot about canning, but this doesn’t seem to match modern American thinking on the subject. I will play it safe and refrigerate my sausage since I’m make a small amount and have room in the refrigerator. I probably shouldn’t worry. I’ve heard stories about my grandmother cooking sausage when they butchered a hog on the ranch. She would pack the cooked meat in a barrel and then pour melted lard over it to fill in any space and seal out any air. I suspect the barrel was kept in the root cellar for months. A long way from modern refrigeration. I faced a similar challenge when I made ajerkoniak. When putting bacteria up against grain alcohol, I trusted the Polish advice and left it in the cupboard. I’m not sure what it is about this sausage that makes it different for me. Maybe it’s because it’s cooked very slowly, in a very moist environment. 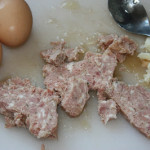 I realized one morning as a was warming up some of this sausage to serve with fried eggs for breakfast that it, in appearance anyway, resembled Spam. Spam, the nemmisis of every camping trip I took as a child. Don’t let that put you off. There’s something about using good cuts of meat and delicious spices that set the two worlds apart! PS. If you're struggling to find a recipe for some Polish traditional dish in the future, feel free to email me and I'll try to help! Anula – thanks a bunch for the link and your generous offer! The resident sausage maker had me print this recipe. He's eager to try it. And Spam is still one of my favorite foods, despite the huge amount of salt and fats. Lois, your remark about queing reminded me about our visit to Poland in 1971 when queing during the Communist regime was de rigeur. In Torun, my mom’s cousins qued from 4AM in order to get meat only to arrive at the front of the line and be offered the cow’s tongue as that was all that was left. My grandfather in Warsaw qued to get cherries and was given the rotten along with some good ones……how times have changed. Love your stories that accompany the recipes. They are mini history lessons. Thank you. Thank you, Elizabeth. Ed’s Polish colleagues would talk about the coming of age rite of passage, when they were old enough to wait in line for the family. They said to took whatever was being offered whether it was what you wanted or not. I think all this time in line, often for not much, has led to my biggest aggravation in Poland, the national pastime of cutting in front of people in line! Hi Lois – Can you please clarify this part of the recipe: “add ¼ to ½ cup utablespoons of water” There’s no water in the ingredient list. Thanks! Thanks for catching this, Laurel. It should be 1/4 to 1/2 cup of water. I was switching back and forth between cups and tablespoons but didn’t clean it up. I’ll correct it. This is so different from what I thought it would be! 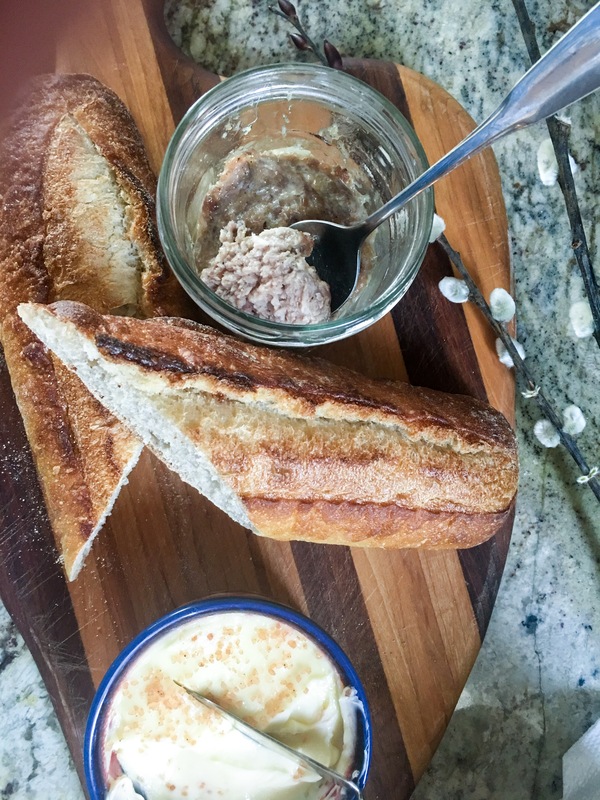 Potted meats are so flavorful and make for wonderful appetizers, or picnics. I can’t wait to try this, Lois! Thanks, David. I know you’ll find a way to season without the garlic. This recipe is delicious!! I was born in Poland, came to the Us when I was only 7. About 18 years ago, but I remember my mom making this for us and I loved it. This recipe reminded me of my home! Again it’s delicious! Thank you for this recipe. Oh, Sabina, I’m so happy to hear the white sausage reminded you of home! It’s one of my favorites too. ❤️❤️❤️ Thanks for taking time to comment.